We are proud to announce the introduction of our new women’s only training sessions at Gracie Barra Scotland. In today’s society, we believe it is important that all women feel confident, strong and capable and learning Brazilian Jiu-Jitsu is the key to unlocking this evolution. Each session will be led by women for women. The sessions will focus on key self-defense techniques as well as the fundamental concepts of BJJ in a safe and controlled environment. You will have the chance to learn new skills, make new friends and learn about yourself, along with some great music and fun. These sessions will be run by our resident women’s coach Kimberley Gillon. Kimberley is a purple belt BJJ practitioner and a personal trainer at Gillon Fitness. She is an expert in teaching BJJ and runs our popular strength and conditioning classes. 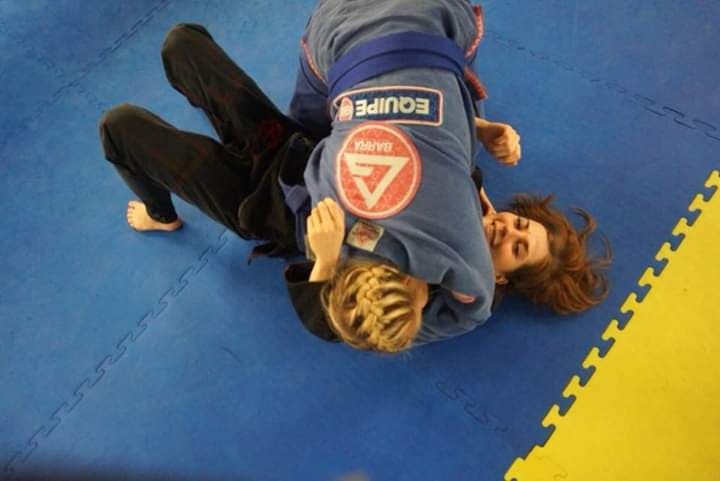 Kimberly is committed to showcasing the life-changing benefits of BJJ to the women of Glasgow. We look forward to welcoming the ladies of Glasgow to the joys and life-changing fun of Brazilian Jiu-Jitsu … oss! To book in a free introductory session, please use the Contact-Us form on the website to book in a session. PrevLearn BJJ in 2019 – new spectacular membership open to beginners!